This article, one of a series of interviews with this year’s City Council candidates, was originally published by the Richmond Pulse on October 13, 2016. Melvin Willis, 26, is the youngest candidate vying for a seat on the Richmond City Council. He served as a Richmond Planning Commissioner from 2012 to 2014. The Richmond native is an active community organizer with Alliance of Californians for Community Empowerment (ACCE). Willis’ campaign is supported by the Richmond Progressive Alliance. Willis recently discussed how to increase affordable housing in Richmond, expand health care and bring back a hospital to the city. Why are you running for a seat on the City Council? I’ve been in Richmond my entire life and been a community organizer for about five years. In organizing I do door-knocking outreach to people in the community about different issues and concerns, from rent control, to just cause for eviction and figuring out how to use eminent domain to help decrease people’s mortgage so they are no longer underwater and can stay in their homes. These are issues I’ve been fighting for the past five years. Some things we won; other things we haven’t been able to win because of the politics behind the council. I’m just hoping that me being on City Council, I’ll be able to represent those voices I’ve been talking to while going door to door for the past five years. What experience do you have for this position? Being a community organizer, I interact with local, county and state government to pass different policies, like a vacant property registration ordinance in 2012. I worked with groups to come up with language so we could get it passed through the City Council. The same goes for rent control, just cause for eviction and the Richmond Cares program that was moving forward in 2013. In the county, we’ve passed a program called Contra Costa Cares, a way for 3,000 people that are undocumented to get access to health coverage as long as they live in Contra Costa County. I’ve also served on the Richmond Planning Commission for a term from 2012 to 2014. I worked on different projects and the last was the Chevron Modernization Project. I’ve been involved in this process for the past five years. What two issues need immediate attention in Richmond and how will you address them? One of the issues is figuring out how we get more of an affordable housing supply available in Richmond. There is not that much affordable housing here targeting low- to moderate-income people in the community. One way to address it is figuring out how we move forward to build affordable housing in Richmond and working with nonprofit developers to see if there’s space available to build affordable housing on different sites in Richmond. The other issue is getting a hospital back in this community. In different areas of California, there have been counties that have used an unincorporated user utility tax to get more revenue for the county. 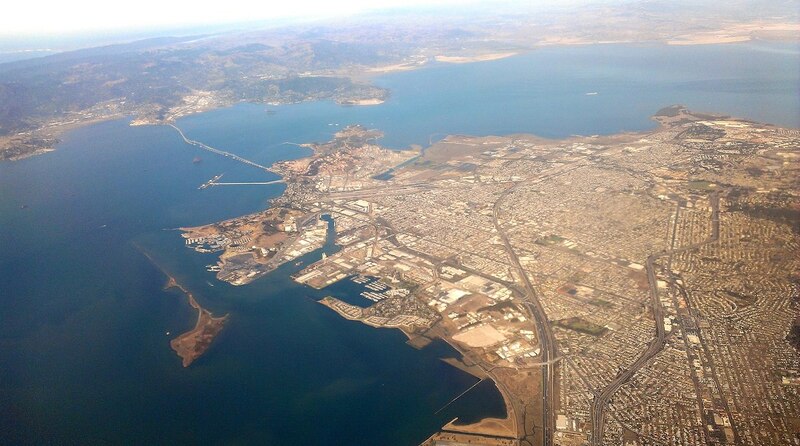 In Contra Costa County we have two refineries that reside in unincorporated areas. So if we were to get a measure on the ballot for a user utility tax in unincorporated areas of the county, there might be a way to generate enough revenue to help fund a hospital coming back to West Contra Costa so we can close the healthcare gap. Other hospitals in the region have been overwhelmed with everyone else in West County because there is no other place to go. What are you views on the proposed rent control ordinance? I’m a supporter of the rent control ordinance. My group, ACCE, was one of the leads in reaching out to tenants and identifying how rent increases are happening in Richmond along with unfair evictions. We were bringing the tenants to the city council meetings last year in 2015 to get them to pass the ordinance, which they did. It was overturned by a shady petition, so ACCE Action came back and we gathered signatures to get rent control and just cause for eviction on the ballot. Now the main thing is to make sure people get out to vote for it. How do you imagine Richmond in 10 years? The Richmond I would like to see in 10 years is a Richmond that has businesses that include the community, where more folks are making a living wage and more folks have a stabilized community. In the long term, one of the things I’m working towards is helping to expand the Contra Costa Cares program to reach the remaining uninsured so that more people in our community have access to health coverage regardless of their immigration status. Also having more affordable housing that’s geared towards targeting people who live in the community based off the Richmond median income, as opposed to the area median income. How will you work to bring more jobs to Richmond? I want to work with various unions and organizations that have been promoting businesses, small businesses and progressives businesses. I want to hopefully create committees and coalitions to figure out not only how to attract more jobs and businesses to Richmond, but attract those that provide a living wage and make hiring Richmond community members one of their top priorities. I want to bring jobs that will help uplift Richmond out of poverty. Interviews in this series have been condensed and edited for length and clarity.